AMROK Centering Dovetail Vises | Advanced Machine & Engineering Co.
All vises are designed to fit on the industry standard 2” center to center hole pattern using Precision Screws and 1/2-13 SHCS (included in each assembly). 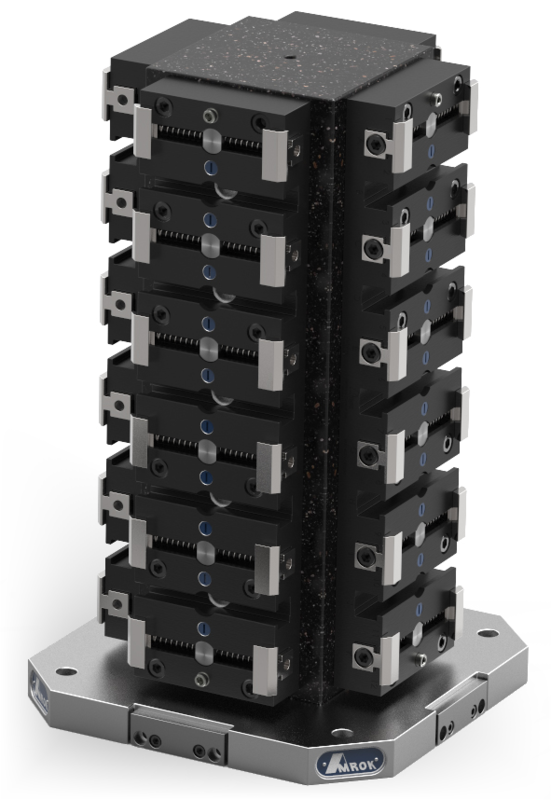 This grid system mounting allows for between center mounting, on center mounting, Bridgeport mounting, and T-slot mounting; all with no additional sub-plate for tombstone mounting. The two outside holes and the center hole closest to each end are precision mounting holes. Various jaw widths and heights for better load distribution and workpiece clamping.